The Girl Green was exposed to the world of Disney Vinylmation when she visited the Walt Disney World Resort for the Disney Princess Half Marathon. 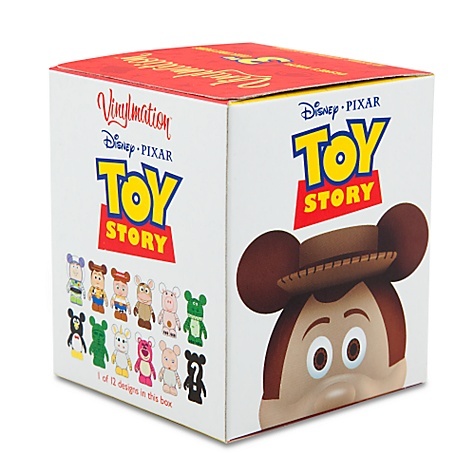 The Vinylmation series consists of sets Mickey Mouse figures that are painted and sometimes accessorized to resemble characters and objects from Disney theme parks. According to the Vinylmation Faq, although the figure is shaped like Mickey Mouse, it does does not represent the 'character' Mickey Mouse. The form is seen as a blank three-dimensional canvas upon which Disney artists can express their creativity. I initially accused Rad Runner Girl of being a Pin Collector when she shared her interest in Vinylmation collecting and trading with me. 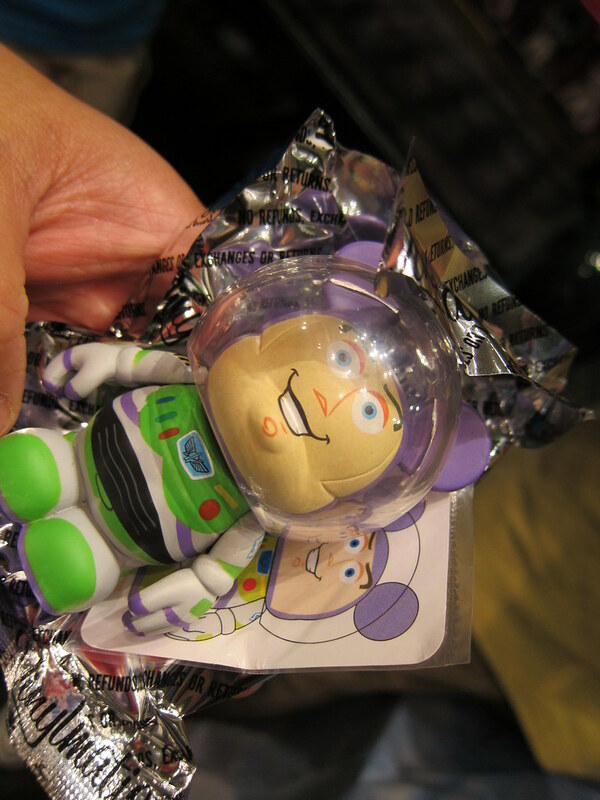 I quickly changed my tune when I discovered the Buzz Lightyear Vinylmation Figure. Unfortunately, Buzz happened to be fall into the category of Vinylmation Figures that are sold in secretive sealed packaging so a buyer has no way of knowing which character they are getting until they tear open the foil wrapping. I had written off any hopes of obtaining a little Buzz Vinylmation of my own until Rad Runner Girl explained the whole Vinylmation trading phenomenon to me. At select Disney stores, they have a window box with three Vinylmation characters that are available for trade. In addition, some stores feature a blind 'mystery box' which is a black box with numbered 1 through 24. The mystery box rules vary from store to store so we learned it's important to ask upfront. Armed with my newfound knowledge of Vinylmation, I bravely made my first purchase and ended up with a very concerned looking Rex. This is where the adventure began. Rad Runner Girl and I went from store to store trying to find a Buzz so I could trade in my unwanted Rex. We shook boxes and tried to muster x-ray vision to infiltrate the packaging. At D Street we ran into an avid collector who tipped us off that the secret to finding a Buzz was to find the heaviest box because his helmet added weight. Andy found me my Buzz! Unfortunately, as talented as we are, neither Rad Runner Girl nor I could differentiate with certainty the weight of the boxes. We resorted to sticking boxes in the hands of strangers and asking them which was heavier. Fortuitously, one of these strangers happened to be a professional Buzz Vinylmation locator by the name of Andy. With unparalleled precision, Andy lifted each Toy Story 3 series box until he came across a Buzz. He handed over the box with confidence and said, 'This is your Buzz!'. I quickly purchased the potential Buzz and ripped open the package. I squealed when I saw how handsome Buzz looked in his protective helmet. I thanked Andy profusely and asked him to pose for a picture with my Buzz. 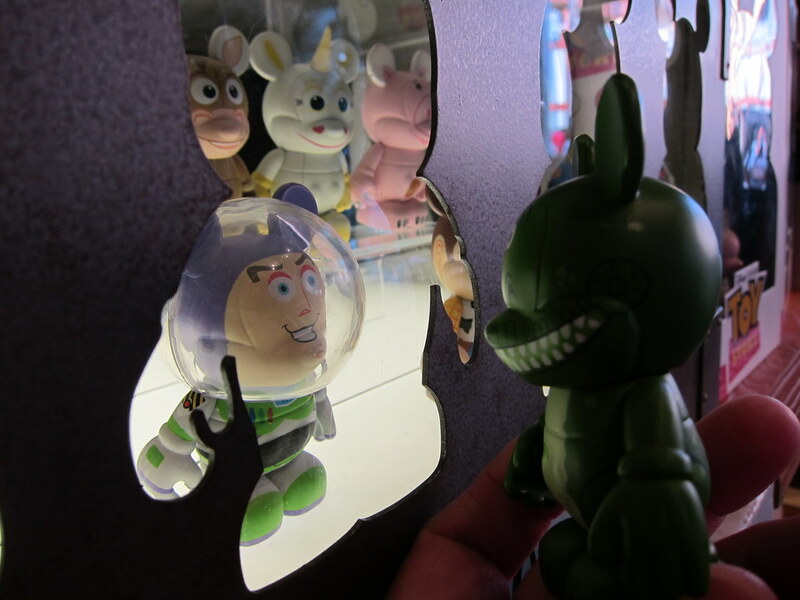 It was the perfect fairy tale ending to the Green Girl's Vinylmation story. I love them!! Congrats on finding your Buzz! I would have been searching/hoping for the unicorn (I can't remember his name). When I was collecting the tokidoki moofia characters in blind boxes I cheated and bought the ones I didn't have on ebay. Since I moved back to MI (from Chicago), vinyl has been pretty much off my radar. Kind of sad, but very good for the wallet. Okay Green Girl, in 6 hours I will be doing into the tallest building in the world then some mosques and outdoor markets. True story, last night as I was walking around I kept saying to myself I gotta get pics for Green Girl. Got a few more good pics today. The tallest building in the world (Burj Khalafia). The ride to the observation deck was sold out and $100 bucks so prob wouldn't have done it anyway. I even took a pic fo the subway station just for you. I'm telling ya, this is a pretty new-ish city. Not a ton of pretty or interesting places. I bailed on the spice market...my friend said it's not all that. What a fun adventure! I must live under a rock because I have never heard of vinylmation. They're cute! 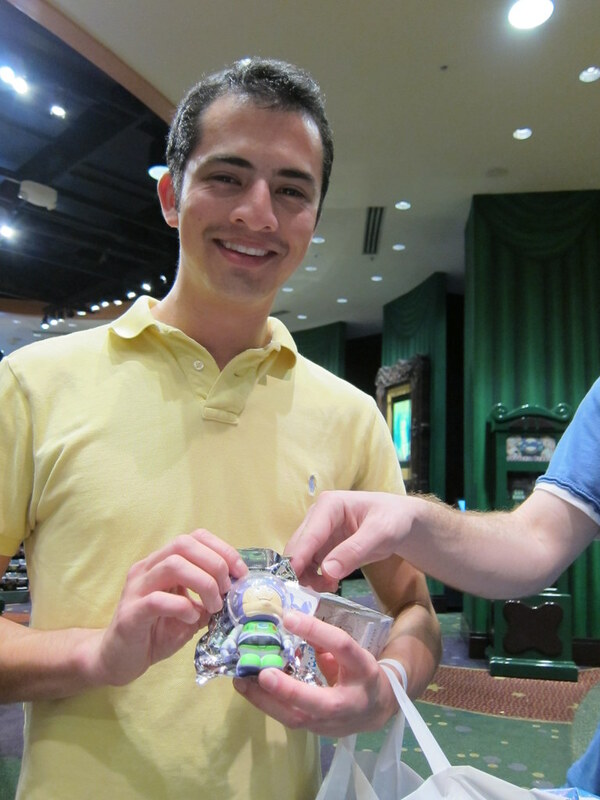 Congrats on finding your Buzz and hooray for Andy who was willing to use his special box weighing powers to help you! LOL super cute! 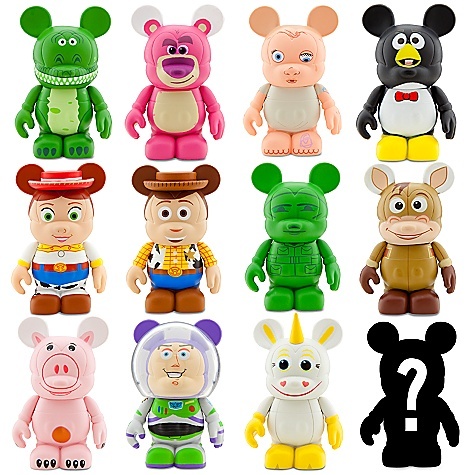 Ive seen them the last couple years at Disney, but I didn't even know they had toy story ones, love it! Those are hilarious...love your education in them! 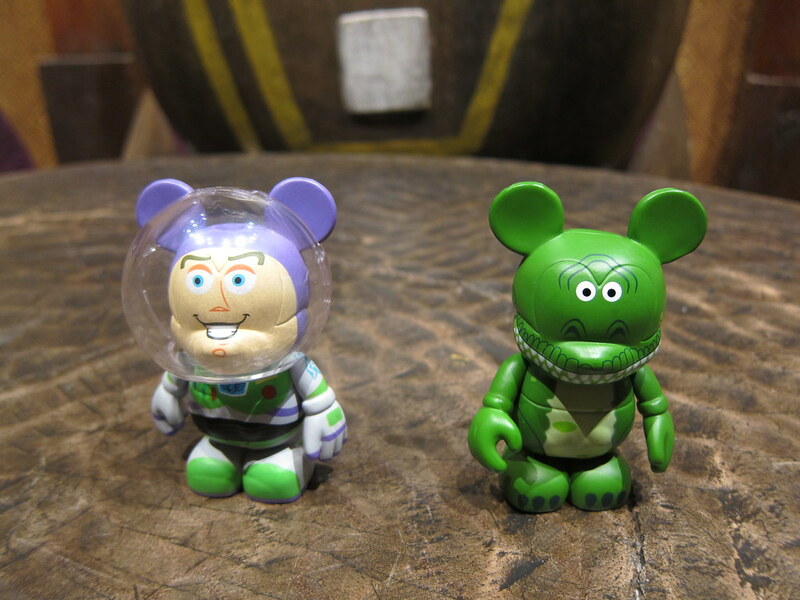 Now you and Rad Runner are true vinylmation experts! I learned a lot today, I never knew a thing about any of these figures! Thank you! OMG! I never knew such a thing existed. Luckily you found Andy (fitting name for this Toy Story story) who could tell pick Buzz out by weight. And I QUOTE "It was the perfect fairy tale ending"